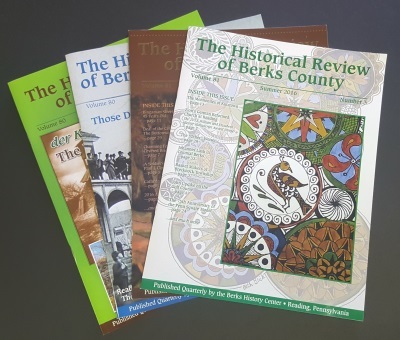 COST: $850,000, of which City of Reading spent more than $150,000, Berks County $22,000, and the federal government, through the WPA, the remainder, or approximately $680,000. Buildings: Hangar and repair shop, and restaurant buildings. The hangar cost $45,000. Restaurant $15,000. 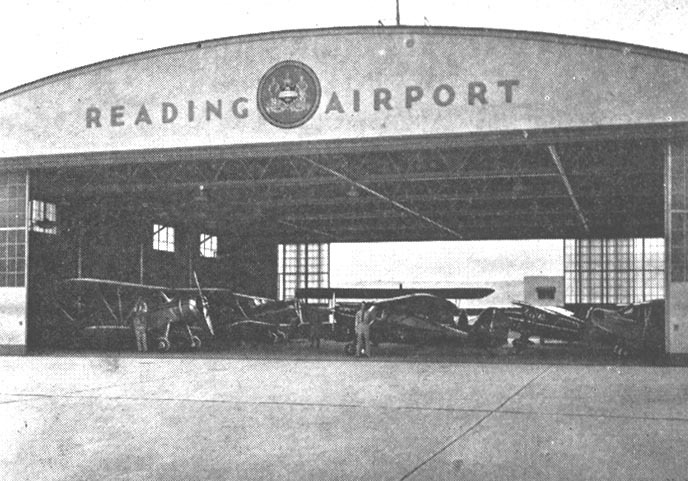 Administration quarters, ticket office, waiting rooms, pilots’ lounge, etc., attached to hangar building. Land: 180 acres. Cost $42,000, paid for jointly by city and county. 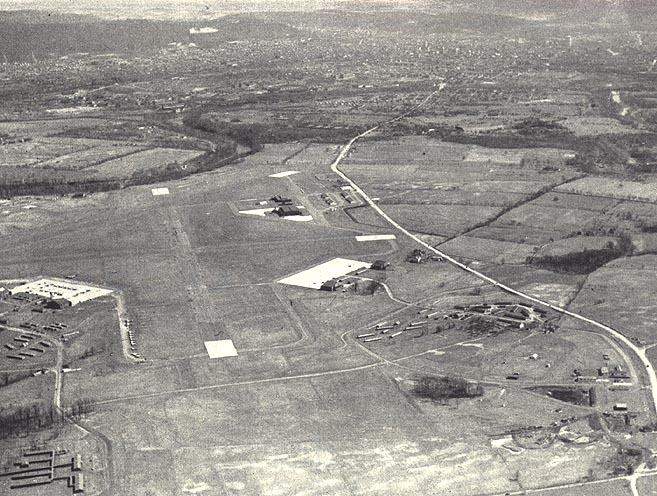 Automatic Beacon given by Pomeroy’s, Inc.
Runways: Three, each 500 feet wide, and paved to width of 100 feet. Paving in runways equivalent to 10 miles of 20-foot wide highway. 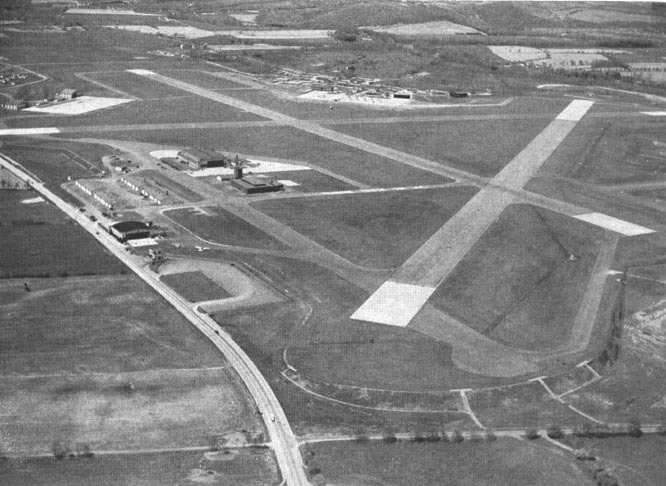 Northwest-Southeast runway, in direction of prevailing wind, 3600 feet long; East-West, 3000 feet; North-South, 2600 feet. Grading: 1,000,000 tons of earth moved, or enough to fill Penn Square from Fourth to Sixth streets five stories high. Altitude: 330 feet above sea level. Drainage and Plumbing: 4 miles underground drains and inlets; four-fifths of a mile of paved surface gutters and channels; one-half mile of water mains, 1100 feet of sanitary drains. Wires: All underground; four-fifths of a mile of telephone cable; three-quarters of a mile of electric cable in conduit. Length of Time to Build: Three years. Distance: From center of Reading, three miles. Bus and taxi service to and from field. 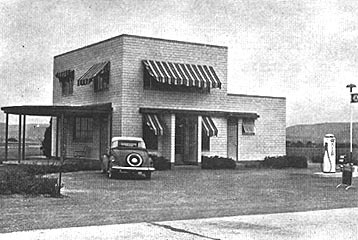 Management: Melvin H. Nuss, manager; Richard C. Estler, hangar and repair shop; Brooks L. Mcklroy, flying service and student instruction; Irvin I. Miller, restaurant.